Developing creativity requires personal time. You’ve heard it before: Learn to say no. What are you married to? and every evening the nurse manager called all off-duty staff begging until someone accepted the overtime shift. It is difficult to refuse extra shifts when it’s your manager asking. This went on for what seemed an inordinate amount of time. Answering machines were new back then, and I resisted owning one. The next day, I bought an answering machine, and learned to screen calls. Not long afterwards, something unexpected happened: The manager took her overtime-paid hours to administration, along with the record of increased census. They discovered they’d save money by hiring another FTE. The overtime calls became occasional. Moral of the story: it’s not my personal responsibility to fix my unit’s staffing problem. I’m not advocating nurses refuse shifts during staffing crunches. In nursing, being a team player is essential. However, I found that if I work more than two overtime shifts a pay period, I get a diminishing return on the extra income because of taxes where I live. Therefore, my flexible boundary is to limit overtime to two shifts a pay period. I learned to say, “No,” to more than that. Recognizing which problems are yours to solve, and which are the responsibility of others is the key to learning to say “no,” to coworkers, patients, children, spouses, boyfriends, girlfriends, parents, soccer moms, whomever. ▪ Protect your personal time. Our ability to say no is strongly connected to the important relationships in our lives. Nurses in particular are conditioned to believe that saying “No” in order to make time for ourselves is selfish. Add the nurturing nature of a nurse to this training, and saying “No” becomes nearly impossible. You cannot grow creatively without time to yourself. Recognizing what stuff is yours, and what belongs to others is the first step towards self-care and personal growth. Do you think nurses have more difficulty saying “No” than other professionals? Do you think this problem is gender related? What experiences have helped you learn to say no? 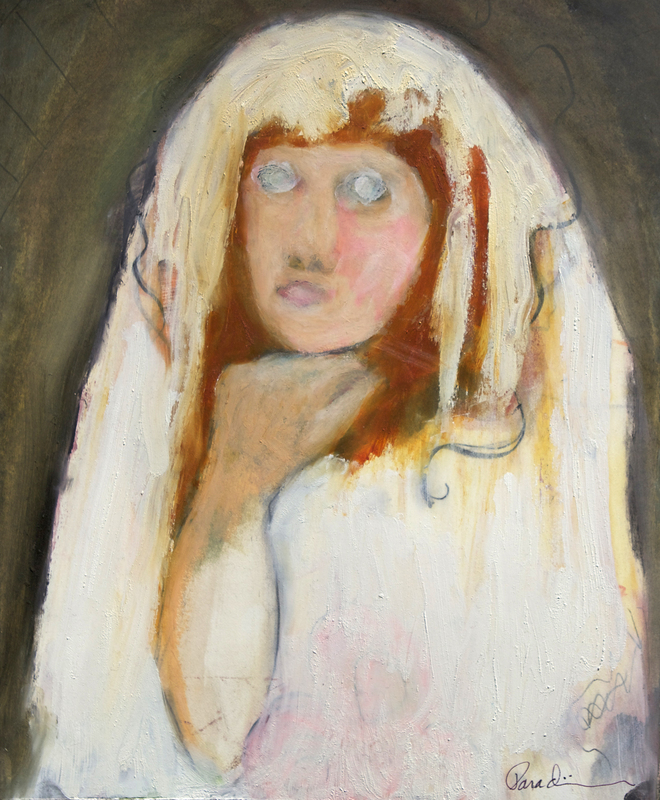 This entry was posted in Posts About Art & Nursing and tagged Art, art and nursing, creativity, health, managing your career, nurse blogs, nurses, personal growth, RN blogs, saying no, self care, setting boundaries, The Bride by jparadisirn. Bookmark the permalink.